Intel Atom D410(1.6Ghz, 1Mb L2 Cache, 533MHz FSB), Chipset Intel 945GC. 128MB VGA Share Memory, 1Gb DDR2 SDRAM, 250Gb SATA HDD 5400rpm. 1VGA Port, 6 USB Port, 1 RS-232 Port,Audio Port. 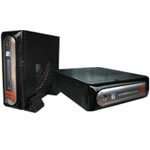 1LAN Port 100Mbps, 1SATA HDD Port, dimensi: (250x210x60)mm, berat: 2.5kg. 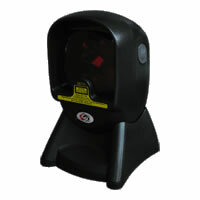 Barcode Scanner MP-2020 ( 1 Year Warranty )Type: auto sense, auto scan, source: 650nm laser diode, scan rote: 1500scan/sec, Resolusi: 5mill, jarak baca: 10-520mm, interface: USB, decode: multi decode, Light: 4000 lux, drop: quakeproof dan antiknock, Berat: 300g, warna: hitam. 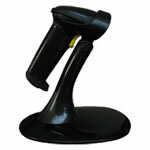 Barcode Scanner AS-6800 ( 1 Year Warranty )Type: auto sense, auto scan, source: 650nm laser diode, scan rote: 100scan/sec, Resolusi: 4mill, jarak baca: 10-520mm, interface: USB, decode: multi decode, Light: 4500 lux, drop: quakeproof dan antiknock, standing: hand free. Berat: 128g, warna: hitam. 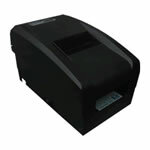 Barcode Scanner MP-8000 ( 1 Year Warranty )Type: Manual scan, source: 650nm laser diode, scan rote: 100scan/sec.Resolusi: 4mill, jarak baca: 10-520mm, interface: USB, decode: multi decode.Light: 4500 lux, drop: quakeproof dan antiknock, standing: hand free.Berat: 150g, warna: hitam. 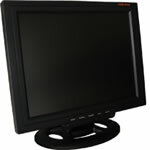 LCD Monitor 12.1″ MP-L121 ( 1 Year Warranty )TFT 12.1 inch, max resolusi: 1024×800(50/60/75Hz), contras ratio: 350:1, color: 16.7M, Luminance: 300 cd/m2. viewing angle: 160(H) 140(V), response time: 8ms, Source: 12VDC/1.5A, berat: 2.7kg, warna: hitam. 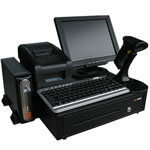 Software MINI-POS Retail 2010Modul penerimaan barang, penjualan tunai, perakitan, penguraian, mutasi antar gudang, Opname stok, 3 tingkat satuan, multi gudang, multi cashier, multi user, client-server database, Tabel princing, tabel disc promo, tabel bonus item, pembayaran tunai, credit card, debet card, Voucer, point member, laporan omzet harian, per cachier, per operator, perbarang, percategory, Perdepartment dll.